Cow Parade. 1000 pieces. 67.6 x 48.9 cms. Manufactured by Cobble Hill. Cow Parade is the largest and most successful public art event in the world. Cow Parade events have been staged in 79 cities worldwide. 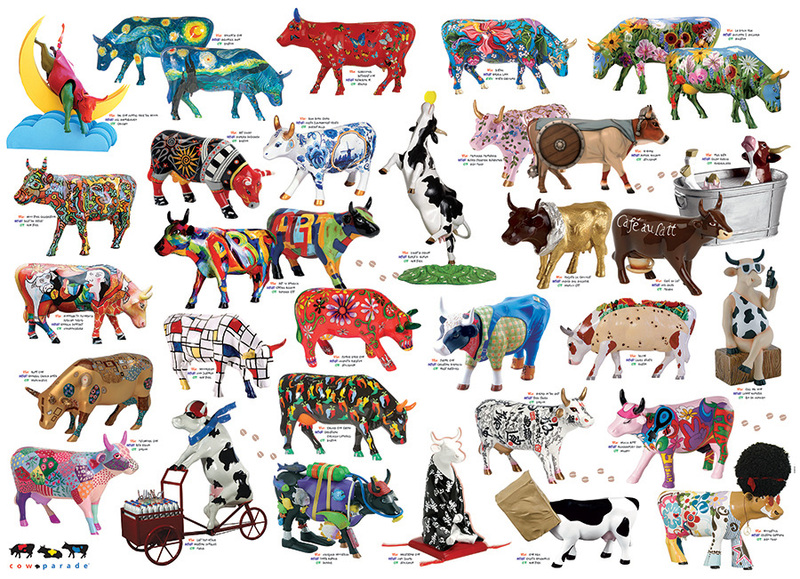 You will lovev this puzzle - every cow is different with its name, artist and country of origin written alongside it. 1000 pieces. 67.6 x 48.9 cms.